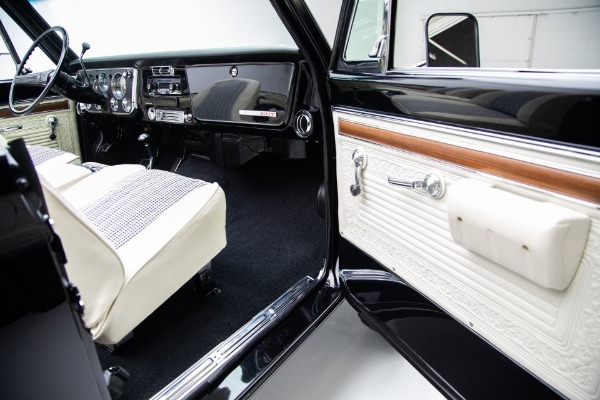 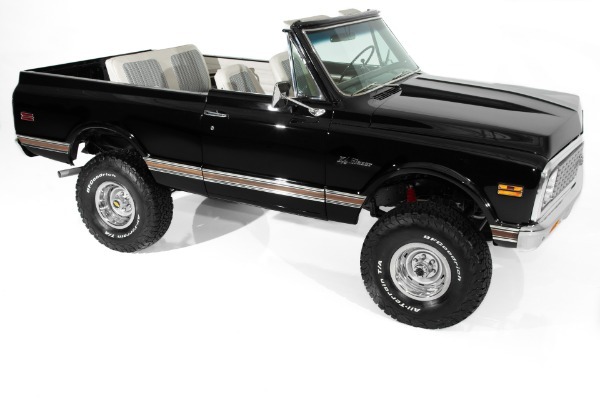 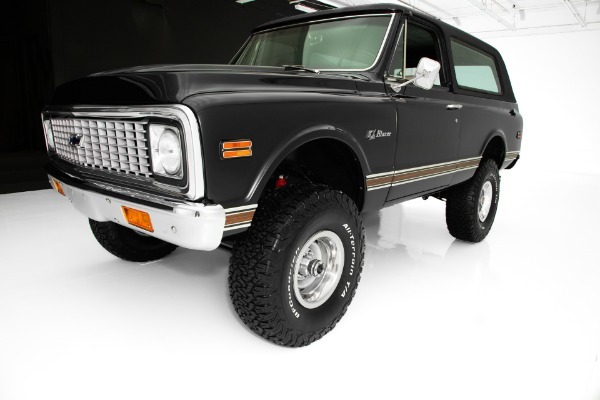 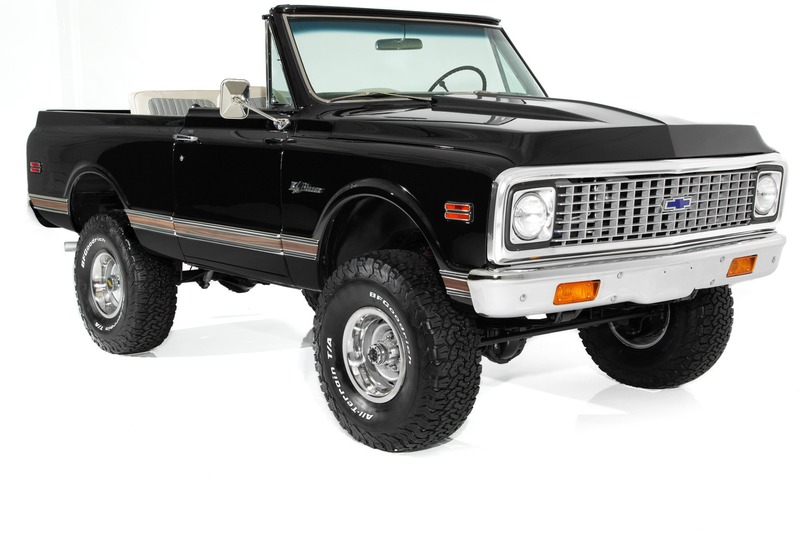 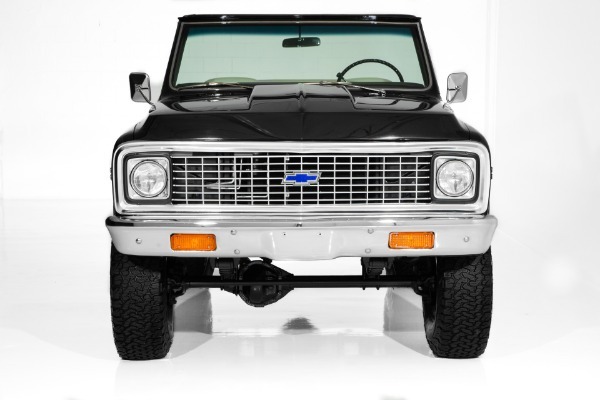 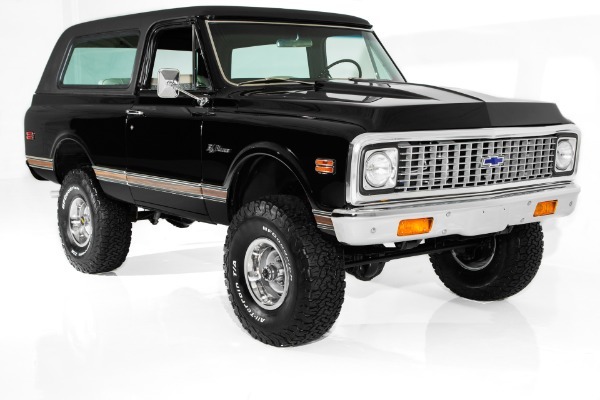 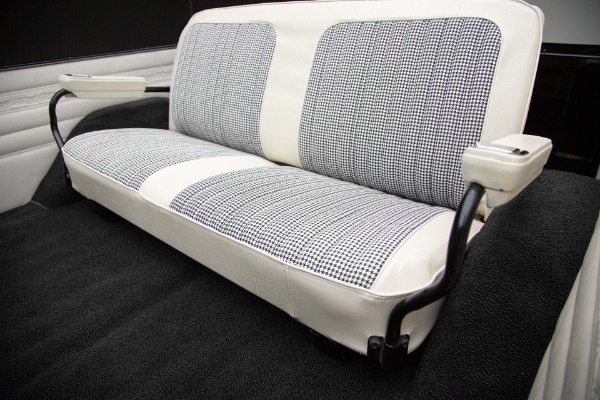 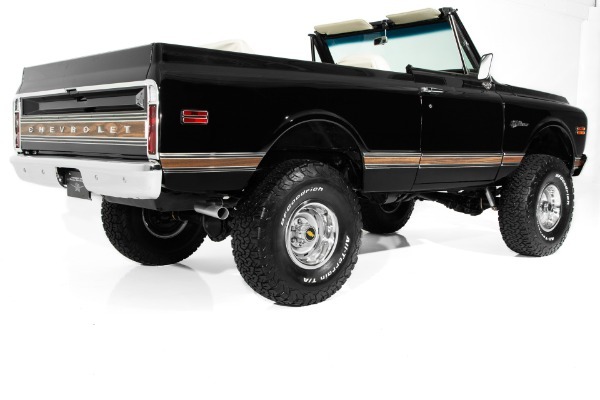 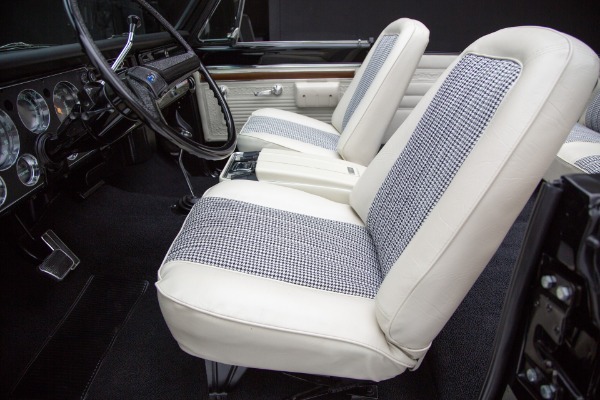 Over-the-top restored, drop dead gorgeous, black 1971 K5 4WD Blazer with black and white houndstooth bucket seats, console, automatic transmission, power steering, power brakes, tilt steering column and AC. 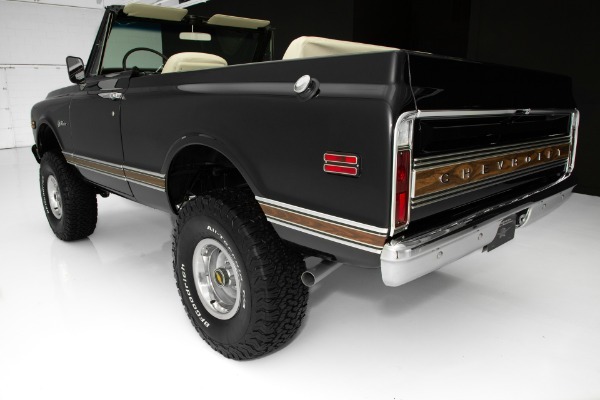 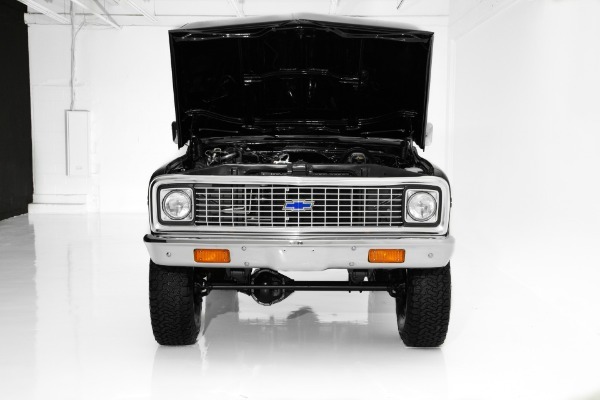 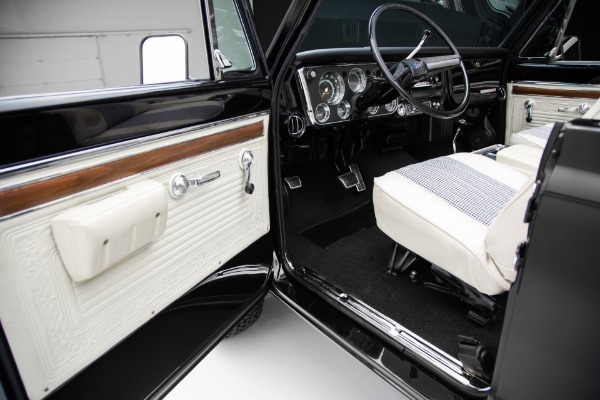 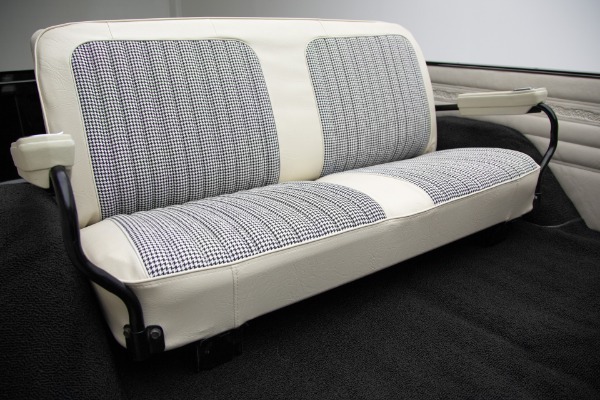 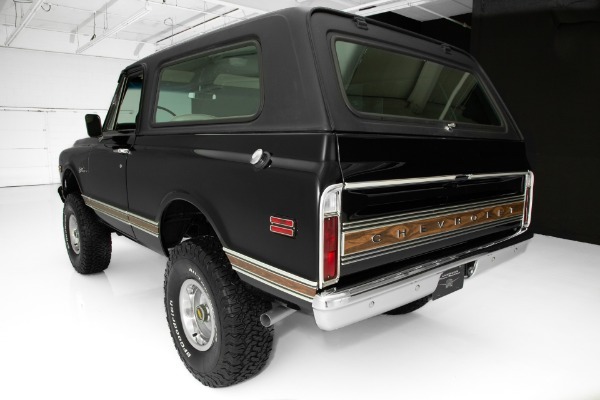 This amazing Blazer was recently frame-off restored with great attention to detail. 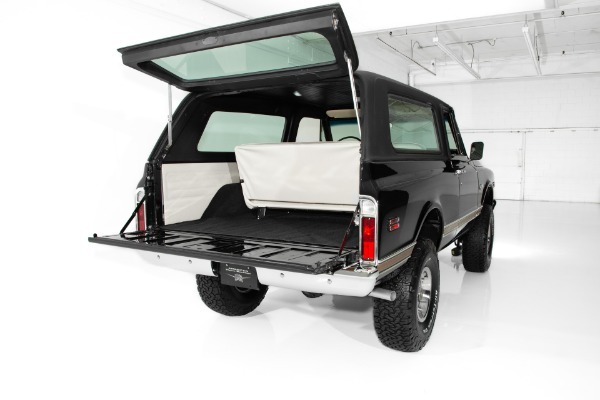 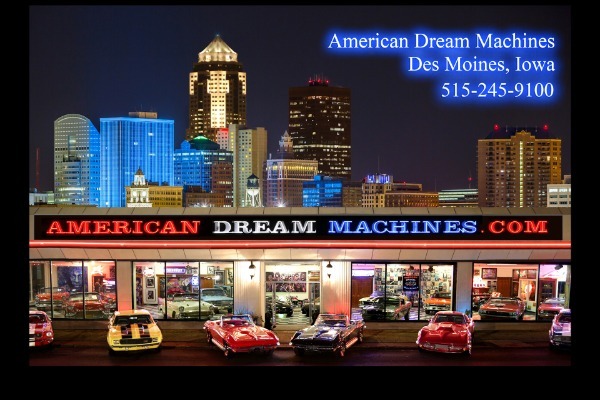 Structurally incredible metal body that is straight, solid and has excellent panel fitment. 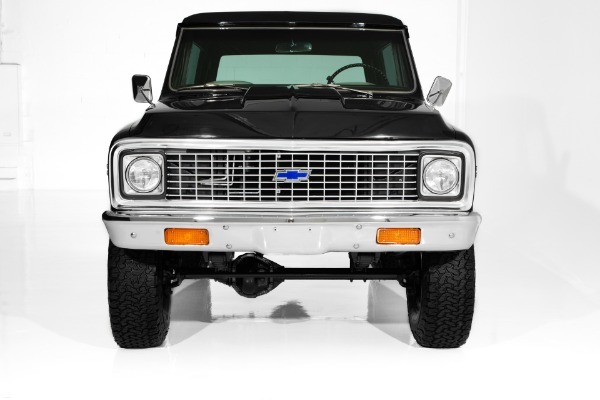 New chrome all the way around including: CST side trim and back panel, bumpers, grill surround, door handles, emblems and a new cowl hood for that aggressive look. 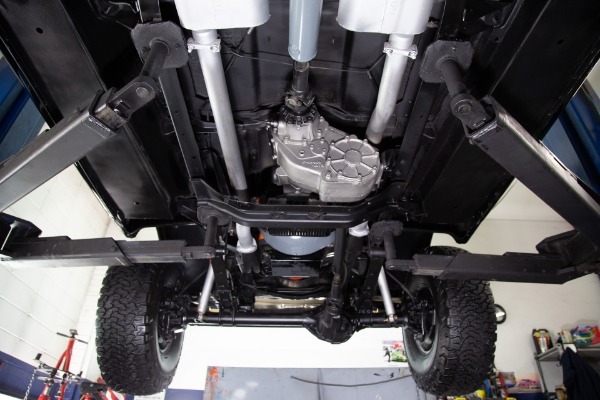 The undercarriage is very solid, clean and intact with lots of new parts. 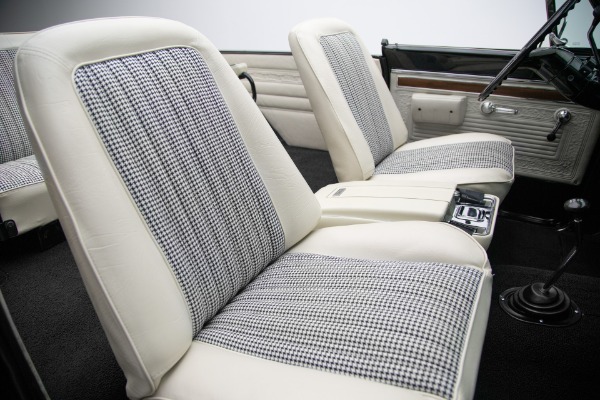 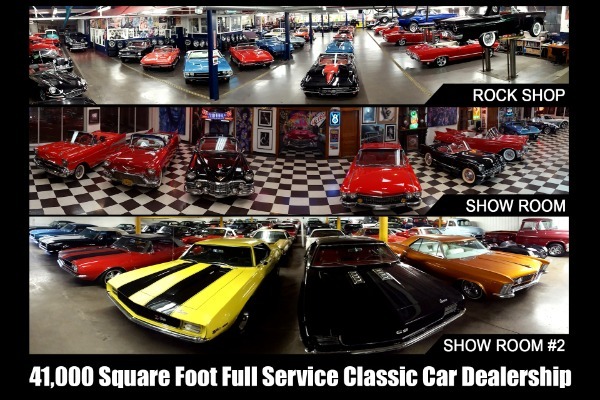 The interior is impeccable with brand new white and black houndstooth bucket seat and back seat covers as well as center console. 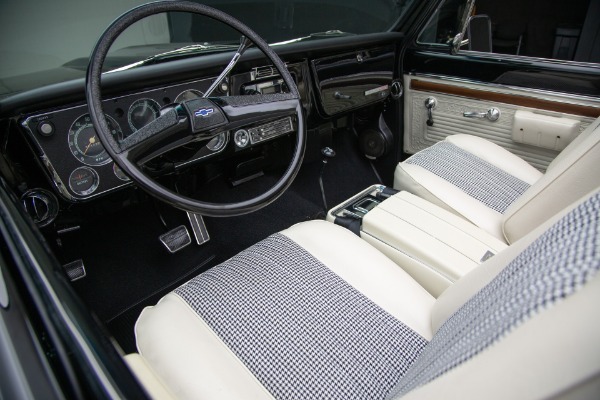 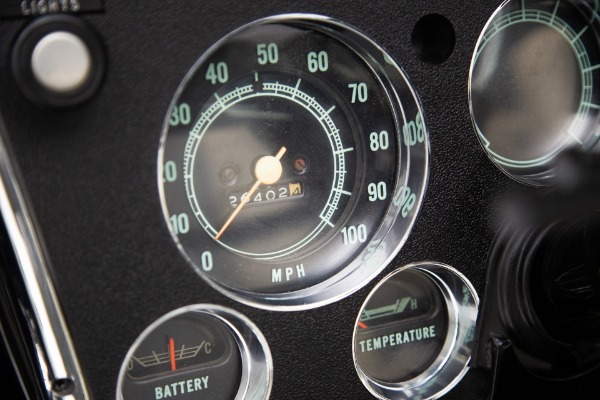 New refurbished gauges and dash bezel, new steering wheel with tilt and a newly refinished black hard top. 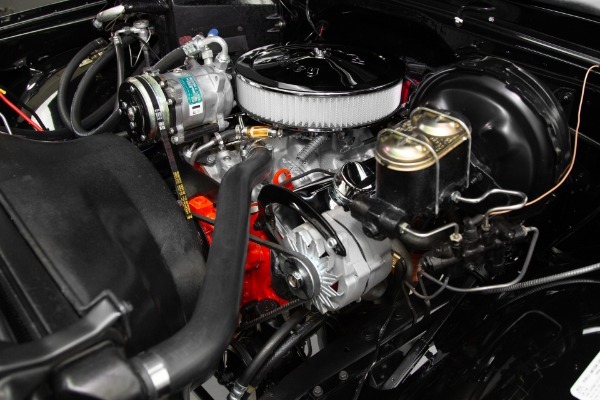 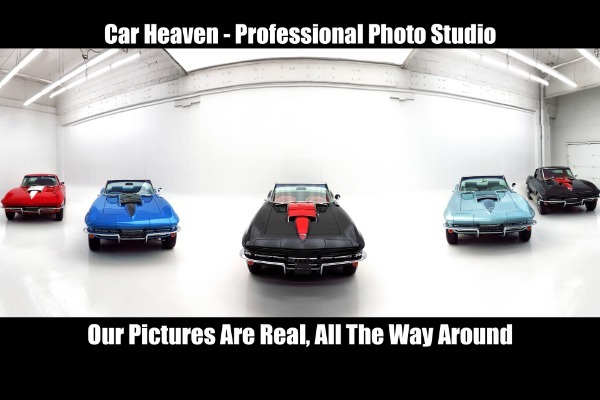 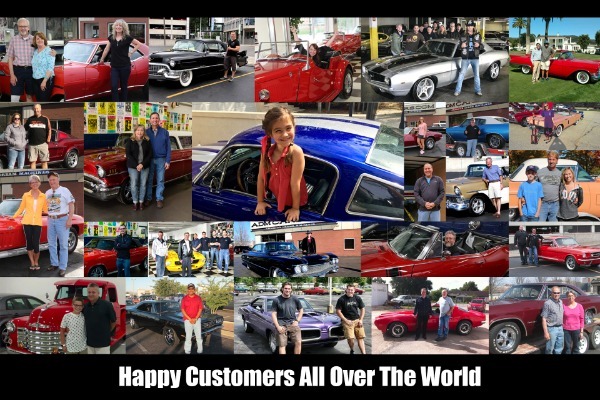 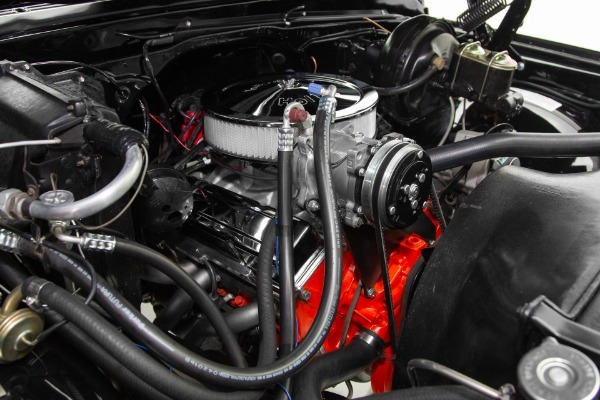 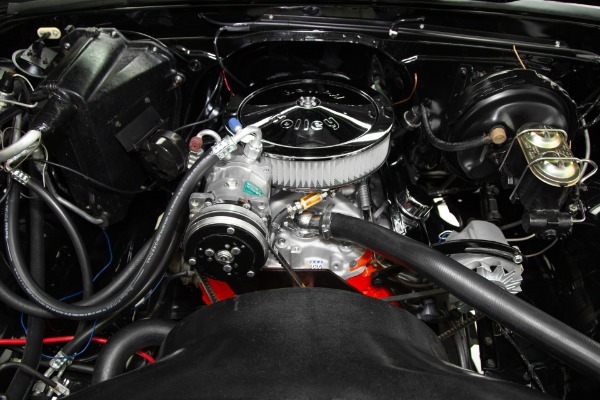 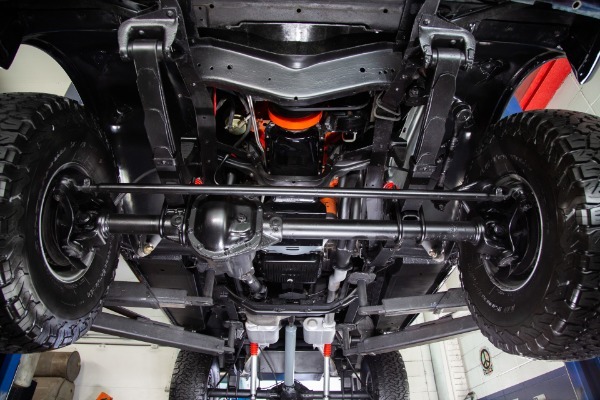 Under the cowl hood is a show quality engine compartment embellishing a rebuilt 350 motor with power steering, power disc brakes and air conditioning. 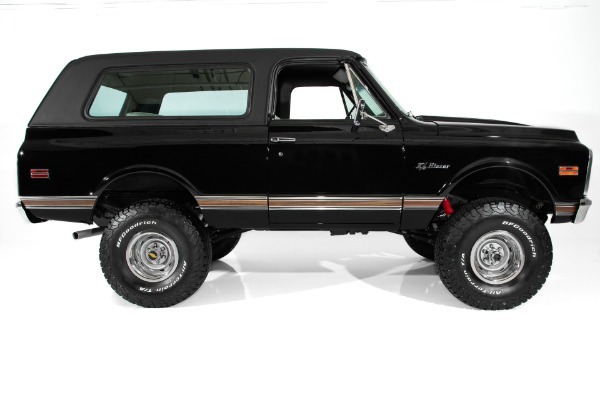 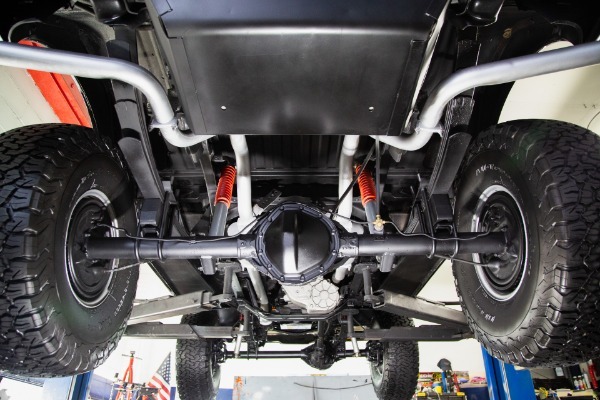 This over-the-top show Blazer is riding high on a 4 inch lift and factory 4 wheel drive, heavy duty suspension and major curb appeal.